Ram's Hotel v San Francisco, USA: Zarezervujte nyní! Ram's Hotel is a small hotel located in the heart of San Francisco conveniently located by all major public transportation. Our rooms are typically excellent accommodations for students and working professionals from what we hear. We are just a few steps away from San Francisco City Hall and Bill Grahams Civic Auditorium where many of the hottest parties are. The area is filled with coffee shops in all directions. There are two restaurants attached to the building downstairs and the food is great. Many other great places to eat within a 5 minutes walk. 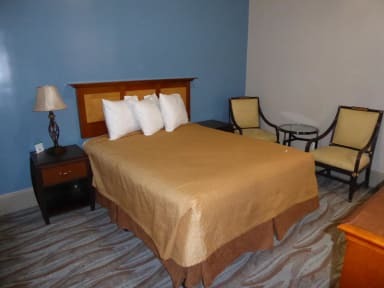 We offer clean and comfy rooms with shared private bathrooms in the hallways. High Speed internet and Premium channels are available at all times. 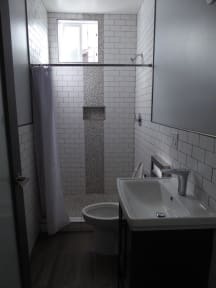 Additionally, we have just finished an extensive renovations to all rooms. We look forward to having you with us. Credit card will be used for incidentals. Taxes not included - 16.25% plus State Tax 0.40 USD per room per night.